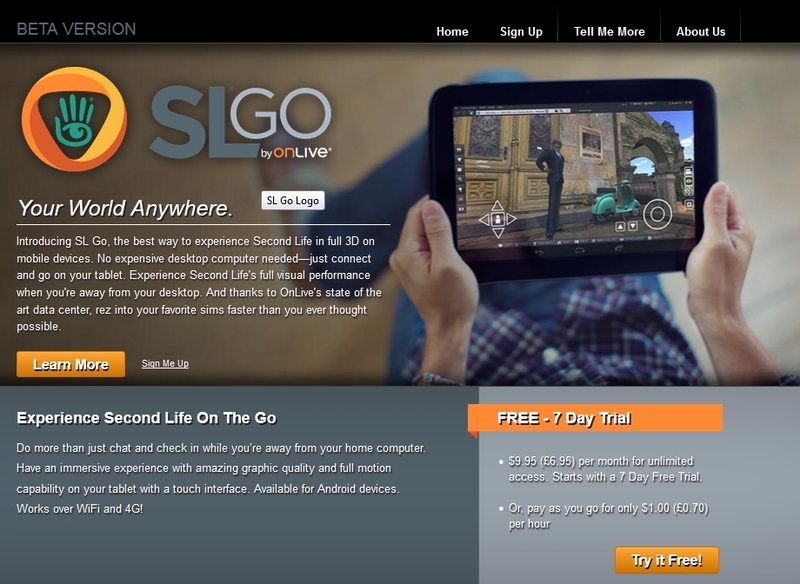 On Tuesday June 3rd, OnLive announced that with immediate effect, the trial period of their SL Go service, which provides a full Second Life viewer experience to both computers and android devices, will be extended from 20 minutes to a full seven days for those who sign-up to the service. OnLive will now be offering new SL Go users a 7-Day Free Trial with sign up for an ‘unlimited access’ subscription package. 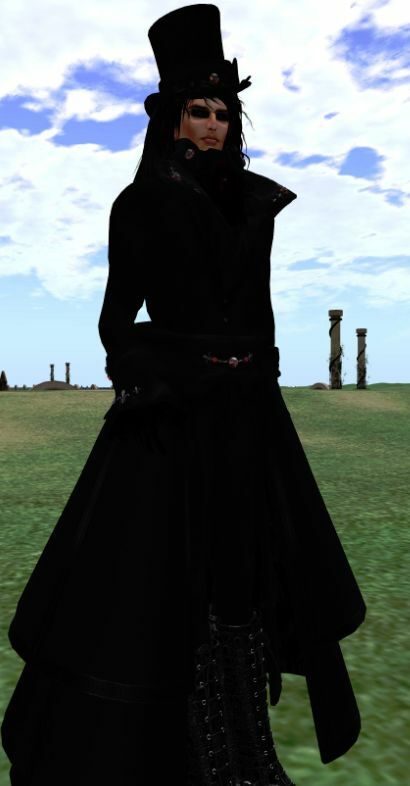 A valuable piece of feedback from the Second Life community has been that the 20 minute free trial is not sufficient to get a true experience of SL Go. Now new users can try SL Go free for an entire week, experiencing Second Life on their Android tablets or seeing how SL Go can render ultra-high graphics even on a lower powered laptop computer. Impressions of SL Go from the Second Life community have been brilliant so far, and this new 7-day Free Trial will hopefully encourage even more players to check it out. The SL Go service streams Second Life, including the viewer, directly to the user’s system or device. Because all of the processing occurs within the OnLive SL Go servers, and the fact that there is no viewer to install locally, SL Go is an ideal solution for those needing to access Second Life from low-end computers or who wish to access SL from a suitable android tablet while on the move. Since its introduction in March 2014, the service has proven popular with users, but has also received some criticism – which has been heard and reacted to by OnLive. In April 2014, for example, and a month after launching the service, the company announced a new pricing structure for the service directly in response to user feedback concerning the original pricing system. The original 20-minute free trial period offered to new subscribers also came in for criticism – more so after the pricing change -, with users feeling that it wasn’t sufficiently long enough for them to gain familiarity with using the service, particularly from a mobile device when using the on-screen UI overlay. Extending the trial period is a direct response to this criticism and should allow users more than enough time to familiarise themselves with the service. Second Life user Mondy Bristol has produced a video showing SL Go in use on her Nexus 7 (2012). 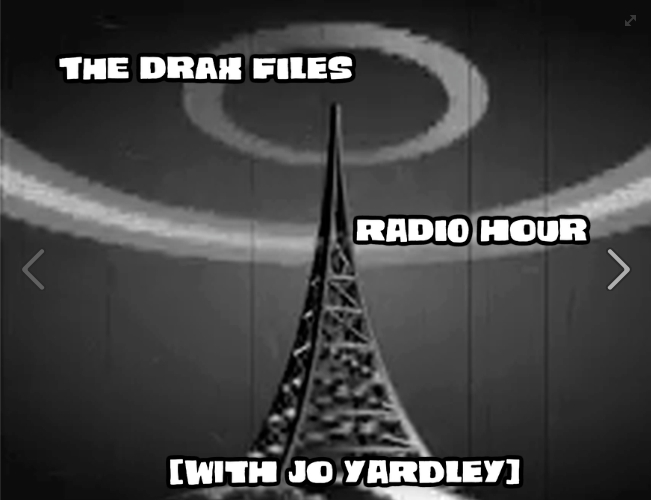 I missed reviewing The Drax Files Radio Hour #20 as real life has been keeping me rather busy of late. Hopefully, the transcript of the Creating the VR Metaverse panel at SVVR will go some way to making up for things (and even that was late in getting into print, courtesy of RL!). Episode #21, the last of the “live” podcast for this series, continues in spirit with the last, the two major interviews – with Voidpointer and Catalyst Linden – having been recorded at the SVVR conference. As usual, and as well as being available on the show’s website and on Stitcher, episode #21 is also on YouTube, and it is to that recording (embedded at the end of this article) any timestamps given in the text refer. The early part of the show re-visits SVVR and Leap Motion, who are in the process of adding on-screen rigged hands which move in accordance to the user’s hand movements / gestures, and have also creating a prototype cradle which allows the Leap unit to be attached to a Rift headset, allowing it to track hand movements, with the rigged hands appearing on the Rift’s screens. The recent Designing Worlds show on the new user experience and user retention – on which Jo appeared – is discussed. Time hasn’t allowed me to watch the show as yet, but it is on my “to-do” list. I confess that I’m always leery of suggestions from users on what “needs” to be done or “should” be done with the whole new user experience. Yes, the Lab hasn’t done particularly well over the last 11 years – to a point – but that doesn’t actually mean that we, as users necessarily have any clearer idea of what needs to be done / should be done, simply because all too often our own views tend to be somewhat biased to some degree, or we simply fail to take into consideration was has actually been tried in the past and trot out ideas which have been shown to make very little difference in the scheme of things. Which is not to say that ideas shouldn’t be discussed, but rather a broader forum should perhaps be established, where more in the manner of two-way discussions between Lab and users can take place, ideas more fully synthesised and options looked at. The new mesh avatars also get a mention, and some of the problems of supplying mesh avatars to new users are highlighted. Leaving aside the valid problems mentioned in the show, What surprised me most about these avatars was that they appeared to have been released prematurely or at least without thorough testing. For example, they were promoted as using fitted mesh, yet the base shape was released as No Modify, thus nullifying the ability to customise them using the sliders without swapping the shape (something new users are hardly likely to know how to do). To his credit, Ebbe Altberg took it on the chin when I Tweeted him about this, indicating that it and a number of other issues would be fixed. But really, so basic a mistake shouldn’t have occurred in the first place. This episode features two interviews with Linden staffers. The first is with Voidpointer Linden, who is well-known to attendees of the Server Beta meetings, which he attends from time-to-time. He has worked on a number of SL projects, including pathfinding, and more recently, the Oculus Rift. The interview commences at the 24:10 mark. Catalyst Linden, the senior director of development at the Lab is interviewed at 37:27 into the recording. 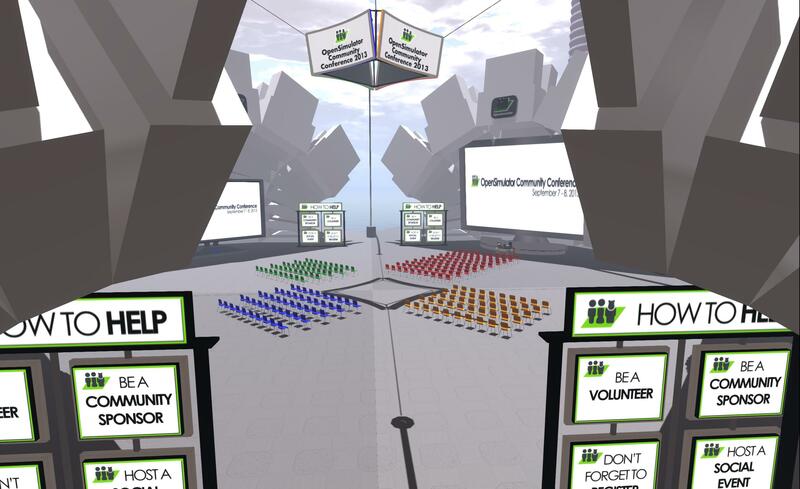 Both Voidpointer and Catalyst point to themselves as being “gamers”, and both indicate that on first encountering Second Life as gamers, they simply didn’t get it – although they do now. A major part of them getting it is clearly to do with the fact that they have joined the Lab, and so SL has become their paid job. However, there is also the fact that as former gamers, they are perhaps both well-placed to understand why and how SL’s appeal needs to be broadened in order to attract more users to it. During his chat, Voidpointer’s comments on the Lab needing to appeal to as broad a span of potential users as possible, even going so far as to acknowledge that the company needs to address those who, like Pamela from segment #8 of The Drax Files Radio Hour, simply do not see virtual worlds or VR as something they need to embrace, because it has no relevance to them. Attracting a broader audience is also a theme in Catalyst Linden’s comments, and he goes some way further towards demonstrating why the perception that Linden staffers “don’t get” Second Life really is in error. Even as someone who has only been at the Lab for around 12-15 months, it’s clearly evident that Catalyst does get Second Life and its potential appeal as well as any user who has given serious thought on this subject.